I laughed out loud when I saw this on Twitter. So if that’s you too, click here to jump to the recipe. For anyone with patience for my stories, I just wanted to add that in my recent follower survey, 48% of the answers to “What do you find most challenging about eating?” had to do with needing more healthy meal and snack ideas, especially when time or energy are in short supply. We’re all for Christmas cookies, but really, aren’t there enough of them out there? 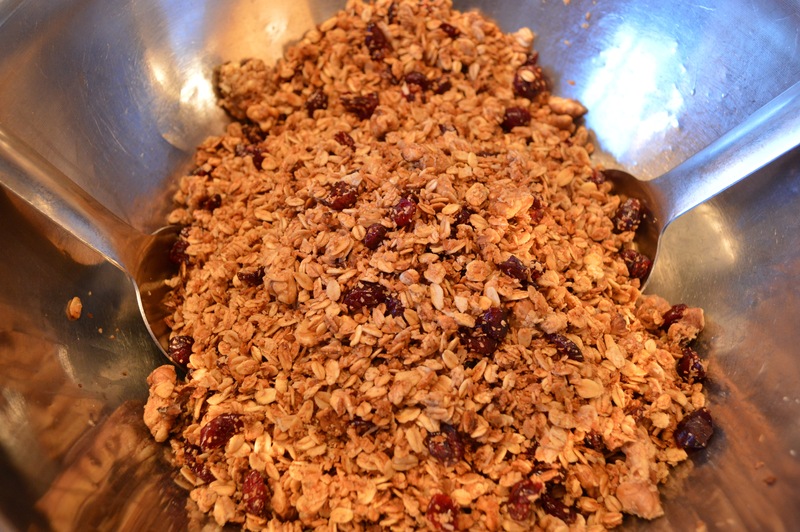 Surprise your loved ones with a batch of this gorgeous, wholesome granola instead.